stress management among your employees. Your business is important and reducing staff's stress is a critical componant for success. Public relations, negotiations, customer service and time-sensitive operations depend on clarity of mind and efficiency. Daily stresses of life combined with stress of the job can compromise your business integrity. Linda Sheldon is both a business owner and a retired executive who can work with you to create a stress reduction program tailored to your company's needs. Let's bring a renewed state of balance to your business. Does your retreat, business or event need any of these services? At Open-Ended Circle we have resources to meet these needs. Call today for a FREE business consultation. Together we can create tranquility for your event or corporate environment. If you are a business owner / manager and you're looking for a way to help your employees manage stress, learn how to better focus on the goals in their lives and ultimately become more positive and productive, then don't hesitate to give Linda a call. As a retired executive and business owner, she understands the stress and pressures of life and can show you and your employees how to effectively and positively manage the challenges life brings. A business retreat with Linda will help change the culture of your office for the better. Why not include meditation or Reiki therapy? Adding a relaxing component to your retreat or event allows participants to pamper themselves. Let them choose to attend a quiet, peaceful meditation session or treat themselves to a personal Reiki session. Meditation has been shown to reduce stress and promote well-being. Our meditation sessions provide an opportunity for participants to enjoy peace and relaxation. No experience required. A private Reiki session allows for the release of built-up emotional energy and revitalized life-force energy. Participants feel calm and rejuvenated after receiving a Reiki treatment. Sessions can be tailored to your event's time table with varying lengths of sessions. Spiritual guidance is a part of every session. 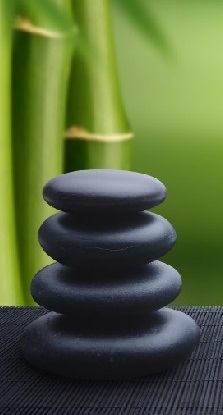 At Open-Ended Circle we have resources to provide meditation guidance and Reiki practitioners to meet your needs. Contact Linda to discuss your needs and design services to calm and pamper your guests.